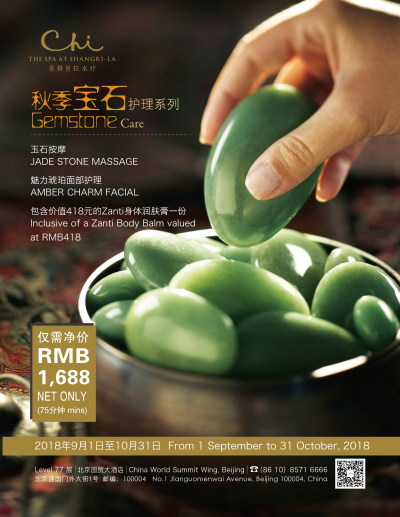 This medium-pressure, soothing treatment uses polished jade stones for their harmony inducing energetic properties with specific traditional Chinese massage techniques. The Meridian Tracing Guasha Massage, to release blocked chi. Amber is the rare, ancient, crystallized resin of a special tree and considered by many to be a valuable gemstone and natural bio-energetic. Amber’s therapeutic properties are believed to help regulate and optimize absorption capabilities when massaged on bioactive points. 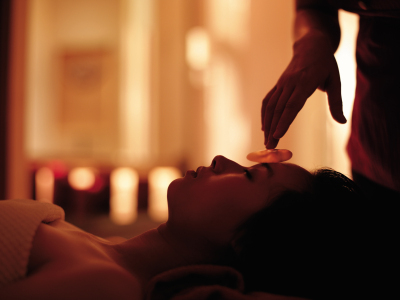 The Amber Charm Facial includes a massage with premium skin care products to help with the appearance of skin elasticity, tone and firmness. 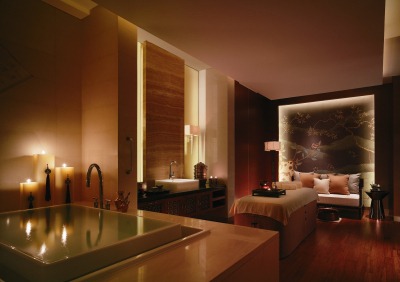 In corporate with ZANTI, China World Summit Wing, Beijing, CHI, The Spa will bring guests a perfect foil to a tour of the spa, which gave guests a sneak peek of the many rejuvenating treatments CHI.